I’ve been a career Mary Sue Author for years and years. I enjoy writing them and reading them. I love to add characters to my favorite fictional worlds, let their personalities bounce off the cast and see what happens. I am fully aware of the negative stigma surrounding the term Mary Sue. Some people do not like to read these types of stories, no matter how well written they are. For those who enjoy MS fics or wish to improve their own, I’ve modified this simple test to help you with your character. This litmus test is modeled after Merlin Missy’s Original Mary Sue Litmus test. 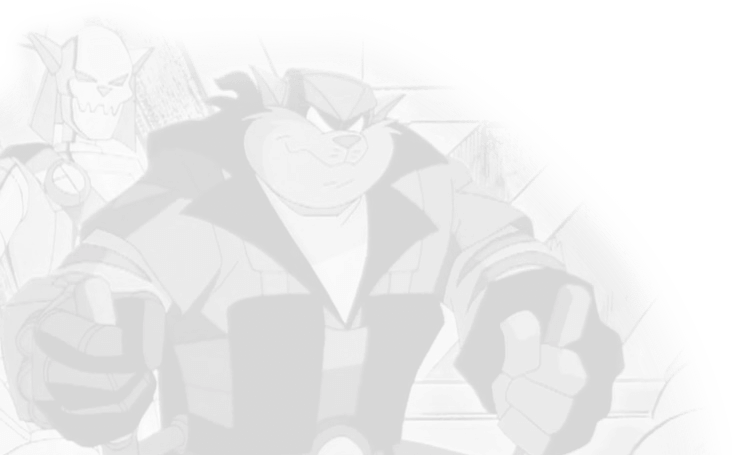 The original is heavily geared toward the Gargoyles fandom and not always relevant to the SWAT Kats fandom. So, I have used it as a template to cover the cliches most seen in SWAT Kat Mary Sue fanfiction. I define Mary Sue characters as a fan made character who plays a large part in the story and, more often than not, has a romantic relationship with a cannon character– most often the author’s favorite. Usually, these stories are written poorly, have weak characterization, and contain a large handful of overused story tropes that have been done to death. Mary Sue fics CAN be written well if the author decides to take their time, learn the craft of writing, and be honest with themselves over the quality of their ideas. Litmus tests like these are created so that Mary Sue authors can be aware of what has already been done and to help them tweak their characters a little. Keep in mind, if something is on this list, that doesn’t mean just one writer has done it, it means SCORES of writers have already done it. I suggest to be honest with yourself while taking the test. If the answer to a question is “well, technically yes, but…” the answer is still yes. The key to avoiding bad Mary Sueism is to create a well rounded character, not a kat version of yourself. She/he may have some of your traits, but they have to stand on their own feet as an individual. They need to feel like a real person, and you as the creator need to learn how to stand apart from your characters and not consider them to be you. Mary Sue fics can be great practice in creating real characters instead of just parodies of yourself. It is completely okay to spend time properly naming your character and coming up with a physical description, background and personality that fit properly into the universe and solidify your character. Creating a well rounded group of stats for your character is not enough. Mary Sue has to fit into the universe enough to feel like she belongs in that world, instead of feeling like something unnatural has suddenly disrupted all the lives of the characters. Also, Mary Sue’s story should not overshadow the canon characters. They are, after all, the reason we read your story in the first place. 1-10: You have avoided most of the overused Mary Sue tropes. You’re likely to be giving the readers something they haven’t seen before. 11-18: Getting into dangerous territory. Check your plot and how you portray your character. See if there’s some changes you can do to make the story more original. 19-26: Your character and story have quite a few over used ideas. Time to take it back to the drawing board and think of something we haven’t already seen 100 times before. 27+: Major Mary Sue-ness. If you are not willing to change your story for the better, then please don’t post it anywhere. We don’t want to read it. There’s too many fics exactly like it online already. Please keep in mind, I am not judging you by making this test. Mary Sue type stories are fun, and they SHOULD be fun. You get to play in your favorite fictional world with the characters you love, all while practicing your writing skills. There are very bad Mary Sue stories out there and also very good ones. The good Mary Sue writers are the ones who are honest with themselves and are willing to pay attention and improve. They are aware of what ideas have been done to death and actively work to make sure that, even if they use one or two old ideas, they are putting a new spin on it. They think of the readers and do their best to entertain their fellow fans instead of just showing off how great and beautiful their character is. If you are the other type of author and you write Mary Sue fics purely for your own entertainment, that’s fine, too. You are entertained, and you enjoyed writing your story about your perfectly flawless Mary Sue who is loved by everyone. But, you didn’t write it for the rest of us, and we don’t want to read it. Please enjoy it, but keep it to yourself. Don’t post it online. Archive Host’s Note: This test is presented only as a tool for anyone who might find it useful. Your original characters do not have to pass the test for your story to be accepted on the site. After dinner, one of Feral’s remarks nets an unexpected reaction from Callie. 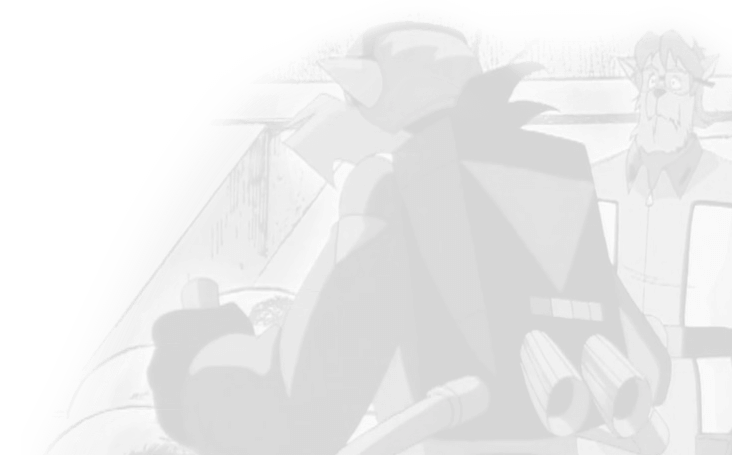 Lokii lures the SWAT Kats to see what she wants them to see.